Do you Know the SleepBox or boxes to sleep ? Sleepbox is, as its name implies, a little box measuring 2m x 1,40 m x 2,30 m, to sleep with comfort and safety. Provides a moment of peaceful sleep and rest in the city without wasting time looking for a hotel. 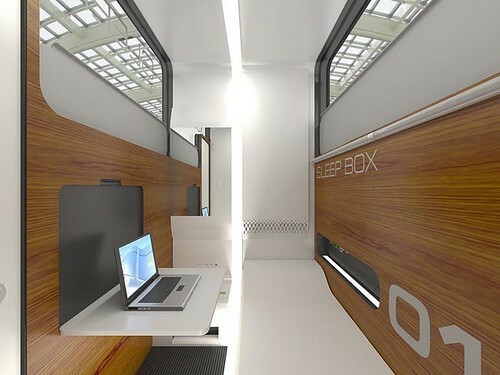 Russian architectural firm Arch Group, designed the prototype for this cabin-bedroom that can be placed even in the busiest transit points, considering that the rapid movement of people across large urban centers suggests the creation of new architectures for meet the most basic physiological needs. 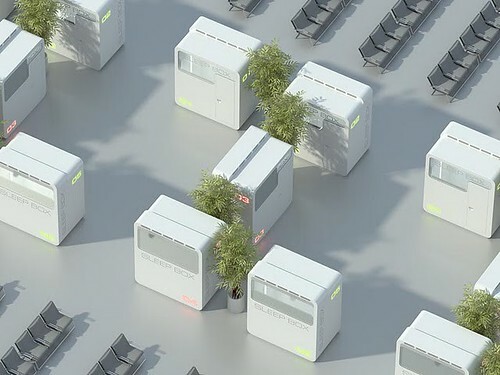 It was meant to be installed at railway stations, airports, among other places where there may be clusters of people in need of rest. 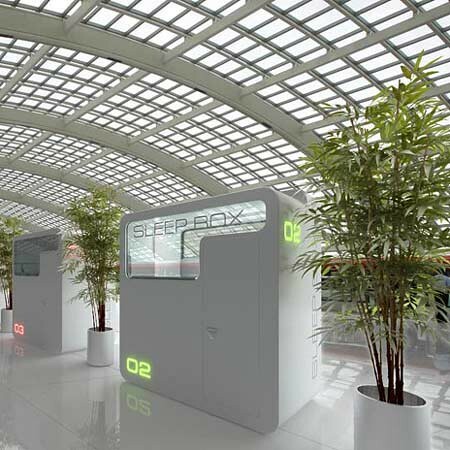 In countries with a temperate climate the Sleepbox may also be used on the streets. 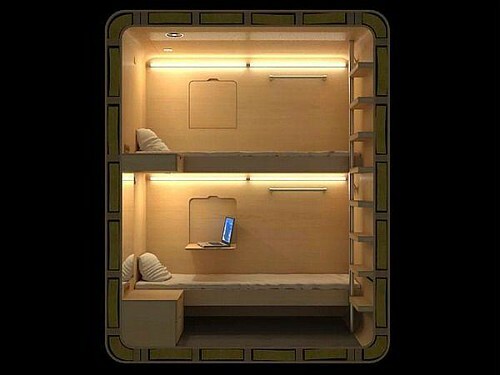 Thanks to the Sleepbox any person has the opportunity to spend the night in safety and low cost, in case of emergency. 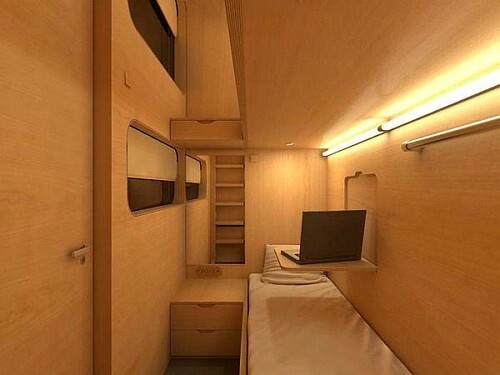 The space includes a bed and is equipped with an automatic change of sheets ventilation system, audible alarm, LCD TV built-in WiFi, a platform for a laptop and cell recargables. Below the floor, there is space for suitcases. You can make payment at special terminals that provide the customer an electronic key, being able to buy 15 minutes or several hours. The project is very interesting, but should be questioned if it really could work in the manner and at the sites proposed by its creators, especially considering that many public places, bus terminals and train of the largest cities world suffer every day several acts of vandalism. Surely, the most appropriate places for these units will be those who have a permanent security system , such as airports, shopping centers or large companies. For more information on cabin-bedroom or sleepbox performed by the architectural firm-Arch Group, we recommend you access their page: arx-group.ru .